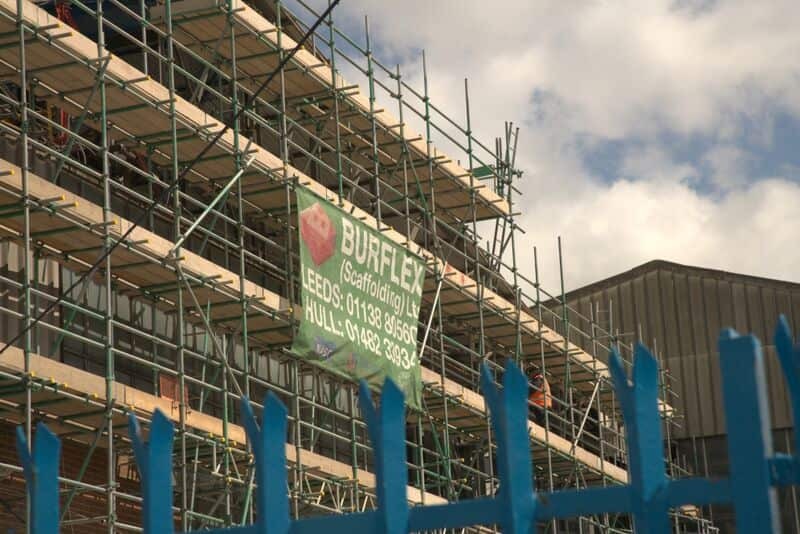 Last year, the Burflex team began work on the refurbishment of the West Stand at Leeds United Football Club’s Elland Road. 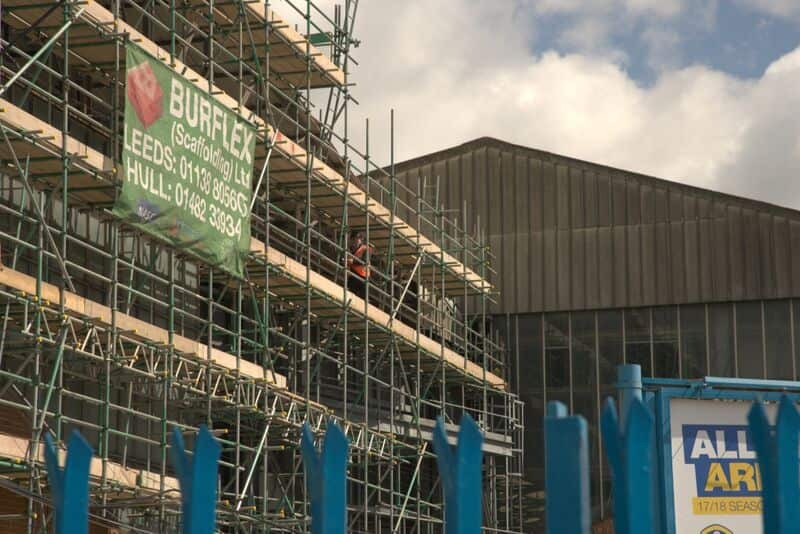 We provided scaffolding systems to replace the roof as part of a summer of building and design work that allowed the club to unveil a great new look in time for the 2017/2018 season. 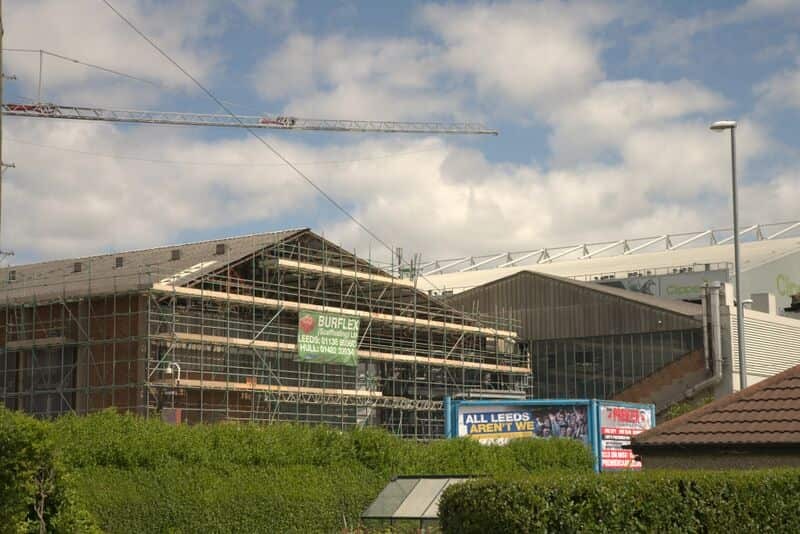 The improvements came after chairman Andrea Radrizzani purchased the stadium, forming part of his plans to really drive the club forward. 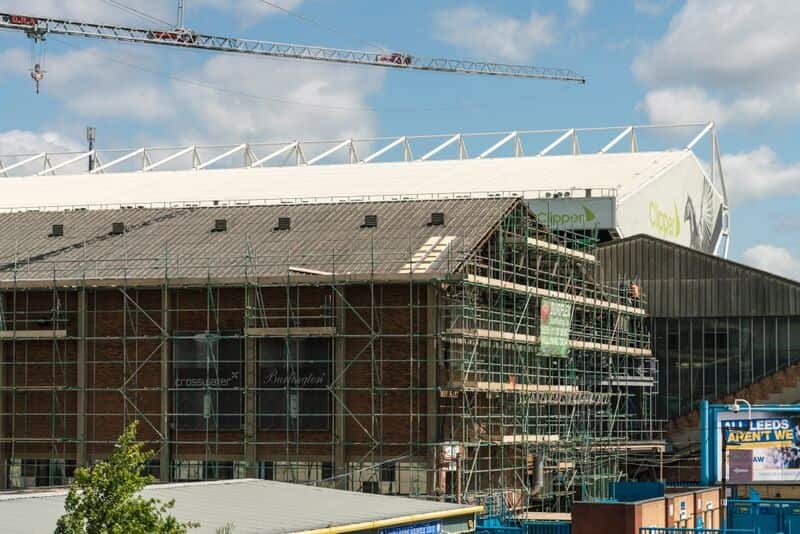 Not only has the inside of the West Stand been revamped, but the dressing rooms and hospitality suites in the East Stand have also undergone changes. Did you know that back in 1956 the West Stand actually burned to the ground, with the press box, club records and offices all consumed by the fire? 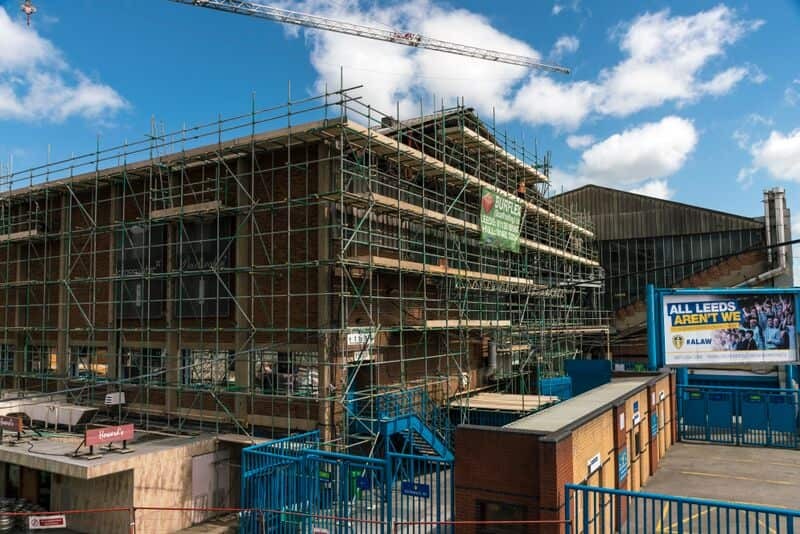 The damage sustained ran into the thousands and a public appeal to pay for repairs was launched after it turned out that the club’s insurance wouldn’t cover it. An impressive £60,000 was raised (remember, this was before the days of the likes of Kickstarter!) and Leeds City Council contributed £180,000 to help rebuild this part of the stadium. 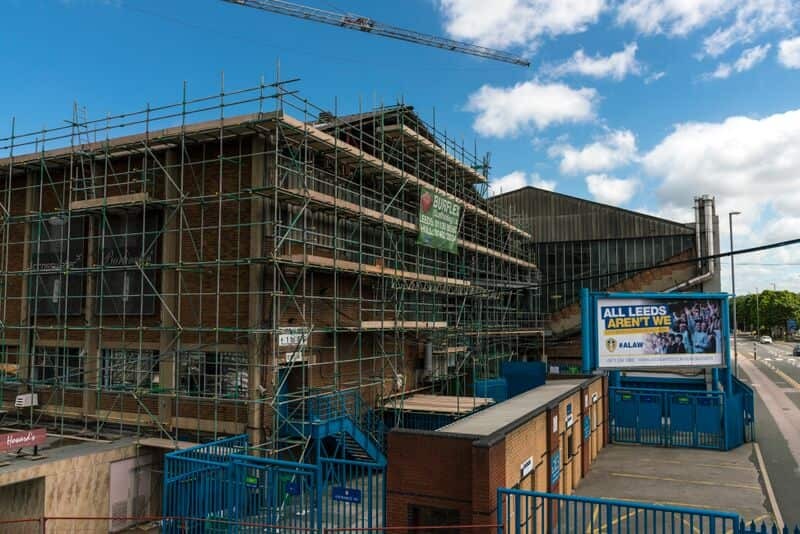 We were more than delighted to be involved in this latest refurbishment of the West Stand, not least because we’ve also just extended our sponsorship of the Don Revie North Stand for a further two years as well. 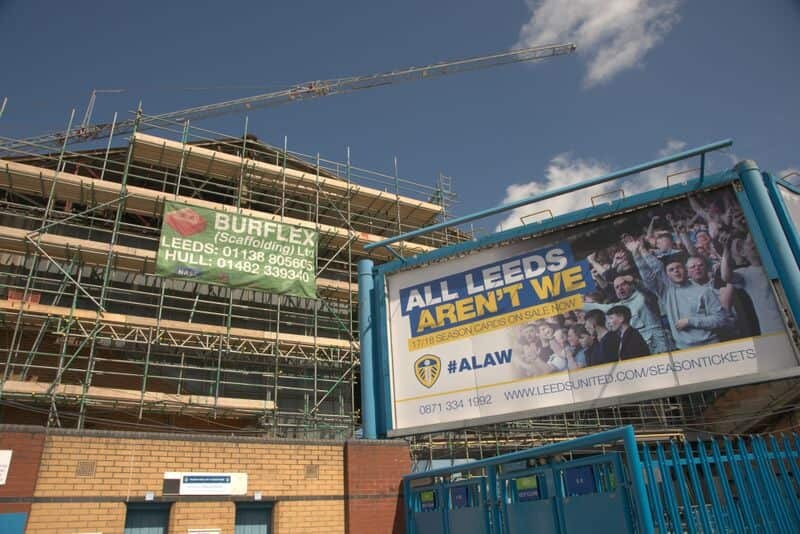 Our operations manager, Rich Fieldhouse, had this to say about this new two-year deal with Leeds United: “Our continued growth and sector strength is as important to us as our brand awareness. 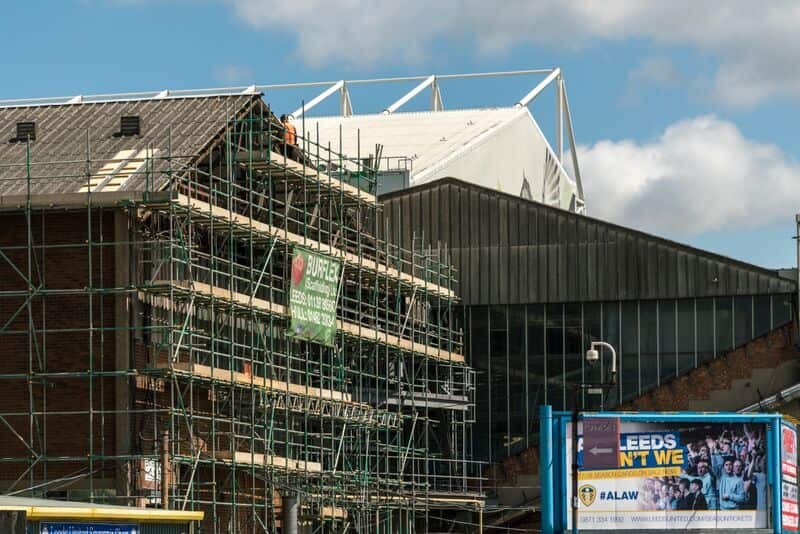 Having our branding within a club and stadium as iconic as Leeds United helps us deliver the brand awareness over the whole of the Yorkshire region and affirms our commitment to the region and position within our industry to our clients.